An undeniably cute box bursting with delicacy. 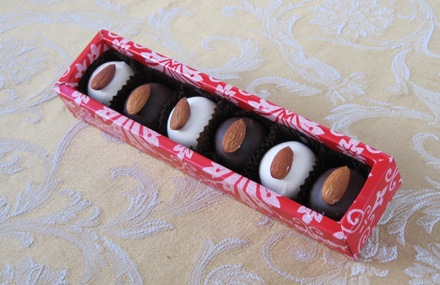 Black outside, white inside or white outside and black inside… actually it’s the toasted almond that does it! *This item is currently packaged in Truffle Boxes. Brocade Print will be available for the Christmas season.